The World Athletics Championships aren’t even half way through yet and there has been plenty of British success, with Mo Farah showing his class on the opening night winning the 10,000m in style. Although GSF supported athletes haven’t yet medalled, they have shown great potential for the future of British sprinting. Daryll Neita took to the track in the women’s 100m and looked strong winning her heat. 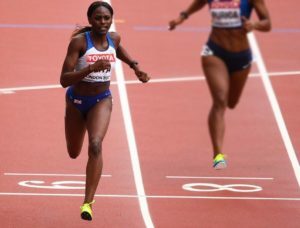 Unfortunately Daryll just missed out on a spot in the 100m final, but at just 20 years old these championships provided valuable experience and she is one to watch for the future. 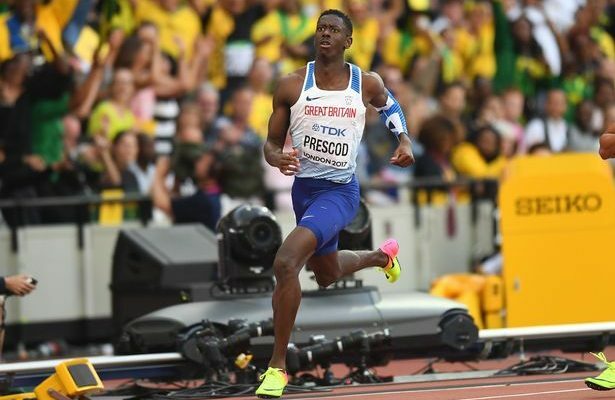 In the men’s 100m, young Reece Prescod and James Dasaolu were representing Great Britain. Both got through the heats with ease and the semi finals proved a lot tougher. James just missed out on a place in the final, but Reece pulled a quick time out of the bag and headed through to the final. Although the spotlight was all on Bolt and Gatlin, Reece came an impressive 7th in his first ever World Championships. He ran a PB 0f 10.03 seconds during the championships, and still at the age of 21 has much more to come. We can’t remember the last time a British athlete made the final in the men’s 100m, which shows that British sprinting is on the up with Reece leading the way. 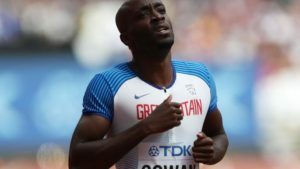 Dwayne Cowan also had an impressive championships making it through to the semi finals in the 400m. Dwayne, who was a late starter in athletics and is now in his early 30s and competing against a lot of young guns. Dwayne cruised through the heats and was placed in a tough semi finals which was won in a blistering 43.89 seconds. Although no British athletes made the 400m final, again this is probably the best British athletes have done for a number of years so there are lots of positives to be taken out of this championship. The GLL Sport Foundation are proud of all athletes that have competed and are looking forward to seeing the rest later in the week. Please see here for a schedule of when our athletes are competing. Good luck to all athletes in the second half of the Athletics World Championships.